The exercises will lay a reliable base for the dancers to tune into their bodies' energetic wiring. We will build a strong and steady blood flow through light conditioning and grounding progressions; dive into partner stretch/work; and finally dig into form work. The only thing required of you [the one joining this session] is willingness to maintain a curious and loving dialogue with your own body, and everyone else's bodies by implication. "Moment to moment, move from where you are, not to where you think you should be." ​While there is great value in explanation, maybe I can work more on letting students figure some things by themselves. Not something crazy like front flips, but more like letting them listen to their foot-hip connection while shifting through a certain position. Pavel began dancing at 16. 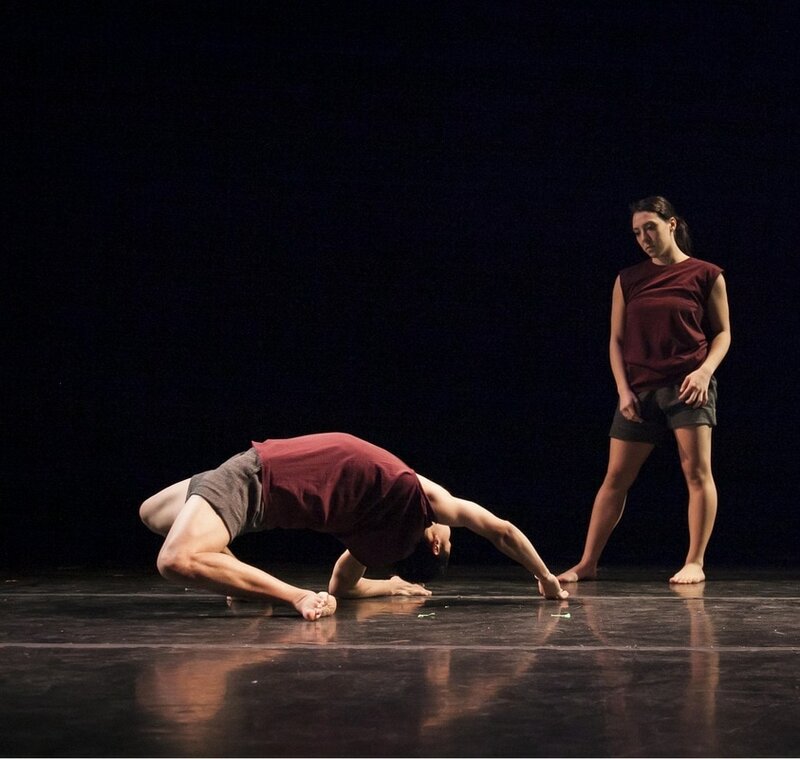 His training includes a BFA in dance from the University of California, Santa Barbara; intensives with LINES Ballet, Batsheva dancers, and Eastman dancers. Additional disciplines (collegiate wrestling, swimming, tennis) also influence his approach to manifesting on stage.